Some say yellow is having a moment. Others ask when the color of sunshine ever went out of style? One of the best qualities of this happy hue is its ability to play well with other colors — white, orange, blue or pink, black, brown, gray or green. On their own, yellow hues have an energizing effect. Just a few bursts can cheer up a whole house like a welcome shot of sunshine. 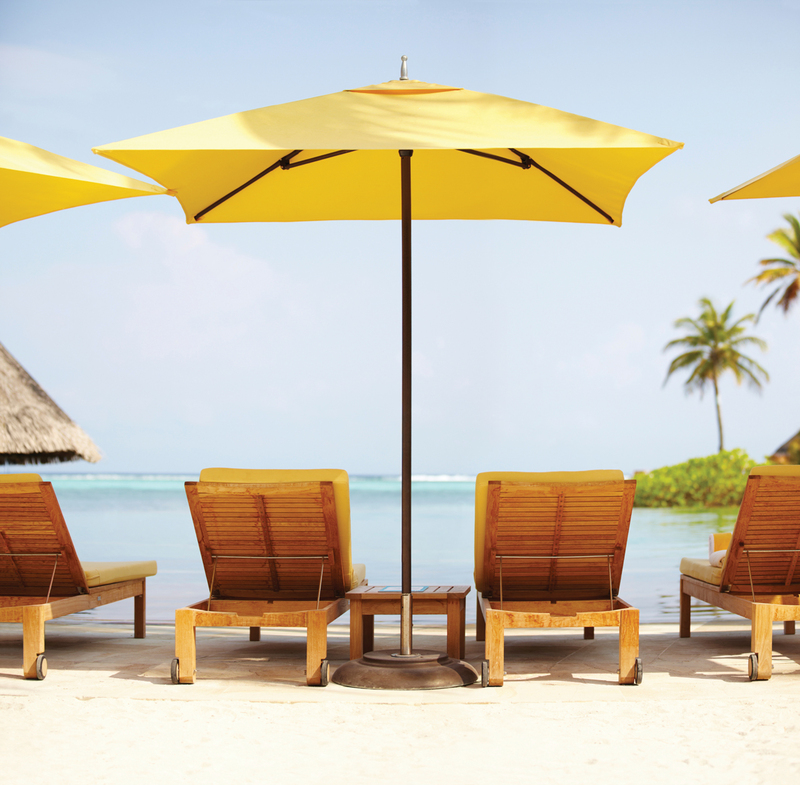 Whether you choose a perky sunflower shade or opt for a quiet buttery hue, few colors have yellow’s power to brighten and uplift your home indoors or out. Keep cool and block those UV rays under Tucci’s Plantation classic umbrella available in five shapes, multiple sizes and a variety of colorways. 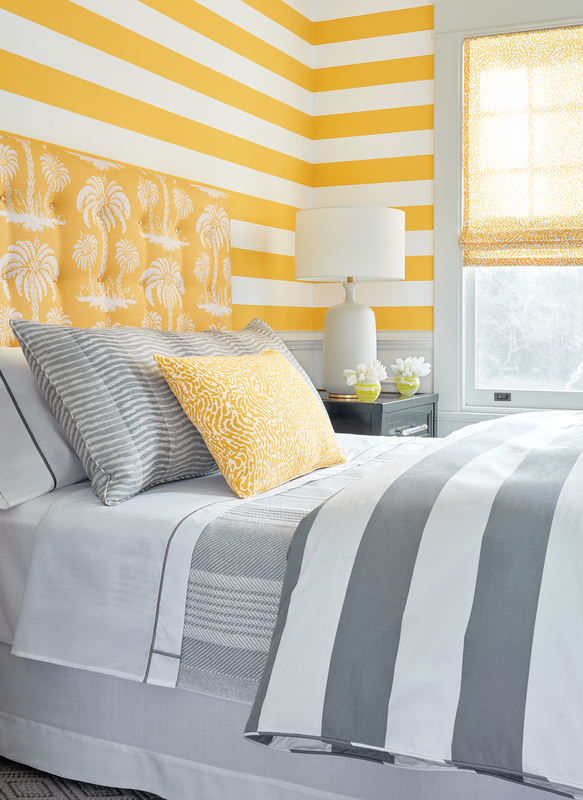 Thibaut’s Summer Stripe wallpaper shows how bright yellow and moody gray make perfect bedside companions. 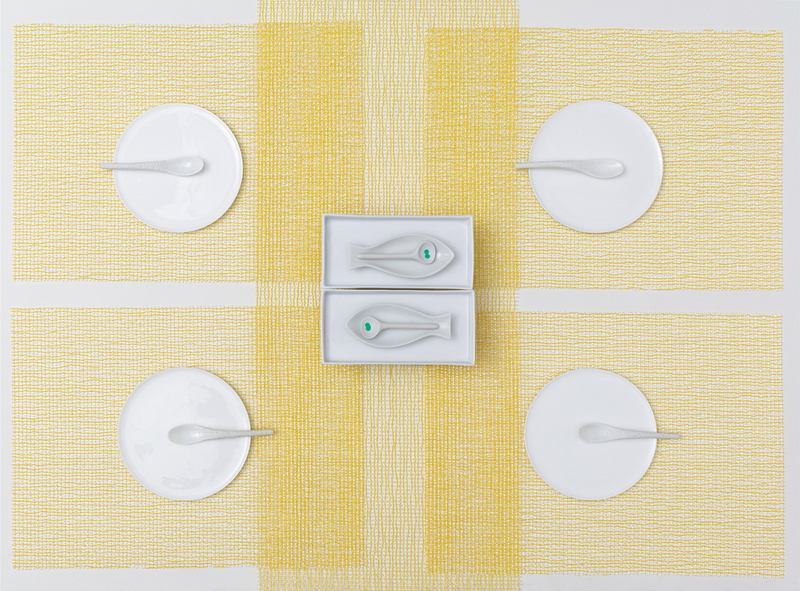 Lattice Lemon placemats from Chilewich are suitable for indoor/outdoor use. 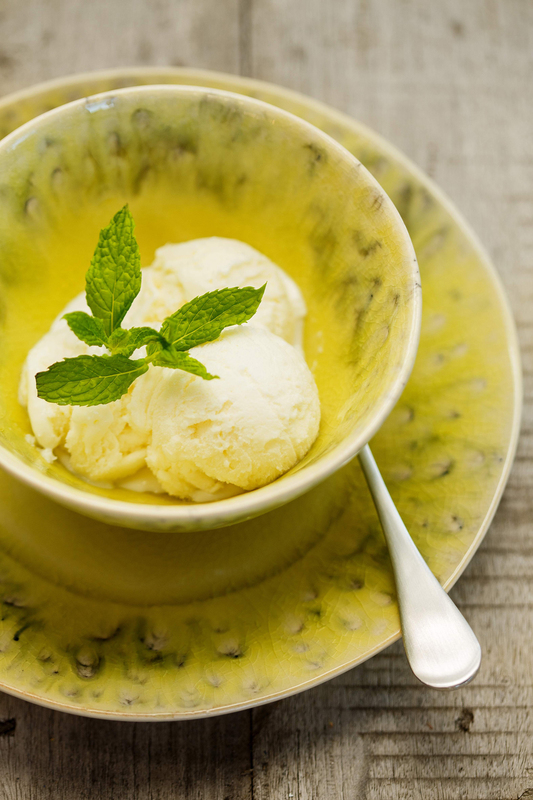 On a hot summer day, nothing is as refreshing as a heaping scoop of ice cream. This one served up in Costa Nova stoneware. 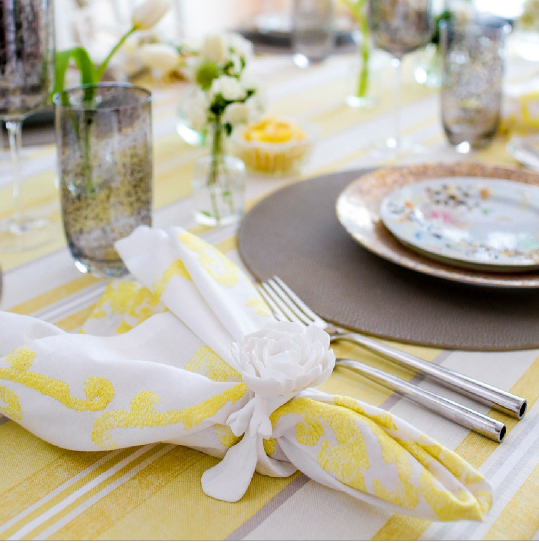 Kim Seybert’s East West Napkin and Tree Peony Napkin Ring bring the garden to the table in a bright and ladylike setting. Don’t forget the chips and dip. Kate Spade’s new Lemon Melamine Collection won’t chip or crack and is dishwasher safe. 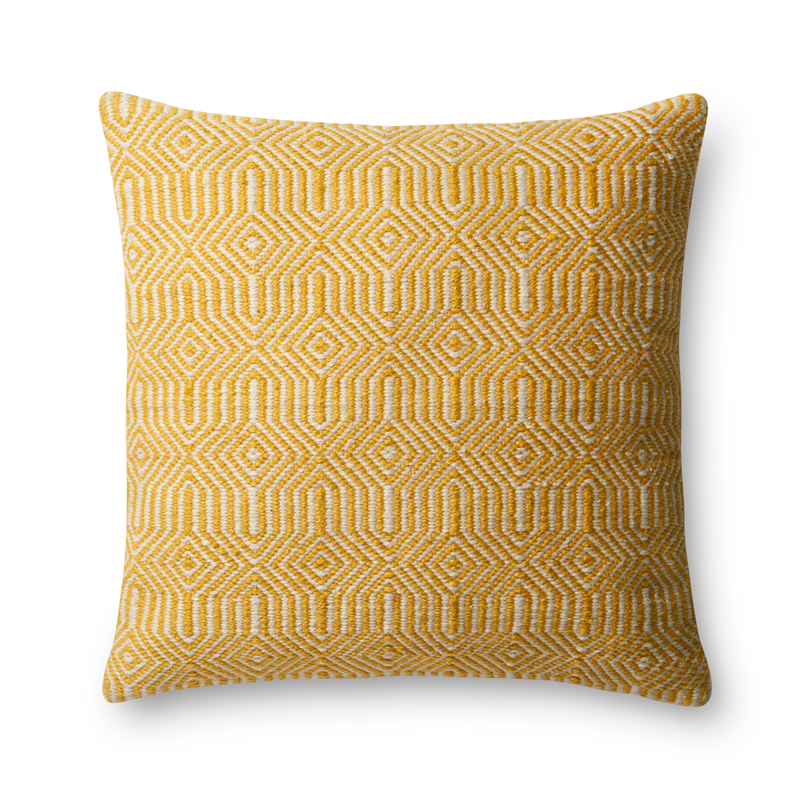 Loloi’s indoor/outdoor pillows can add a pop of color anywhere you want it. Schumacher’s inspiration board follows the yellow brick road with an array of fabrics, wallpapers and trims in sun-kissed shades. 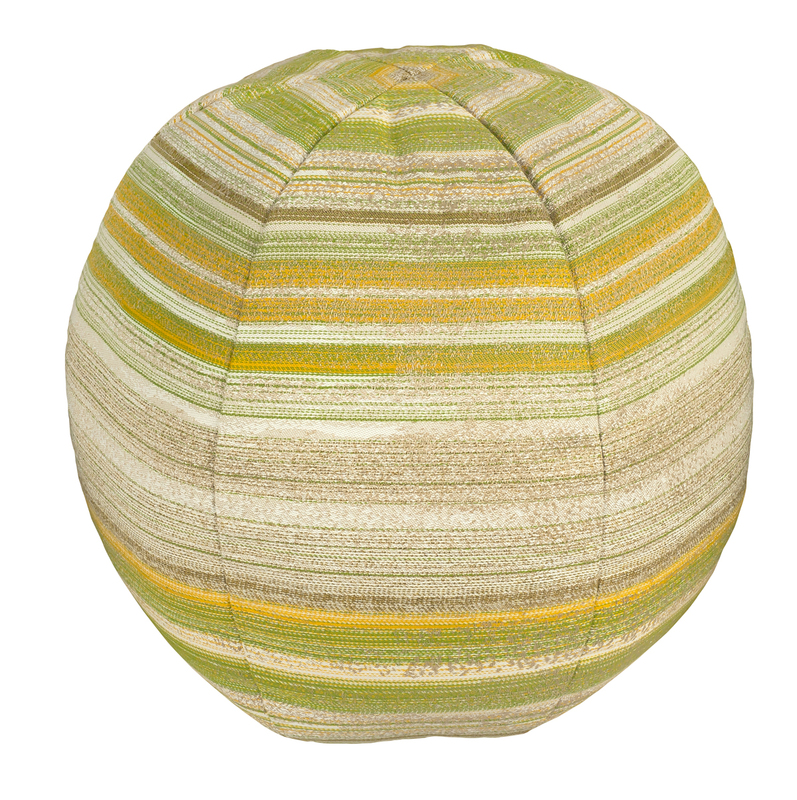 Woodard’s Beach Ball Pillow is lighthearted and fun. 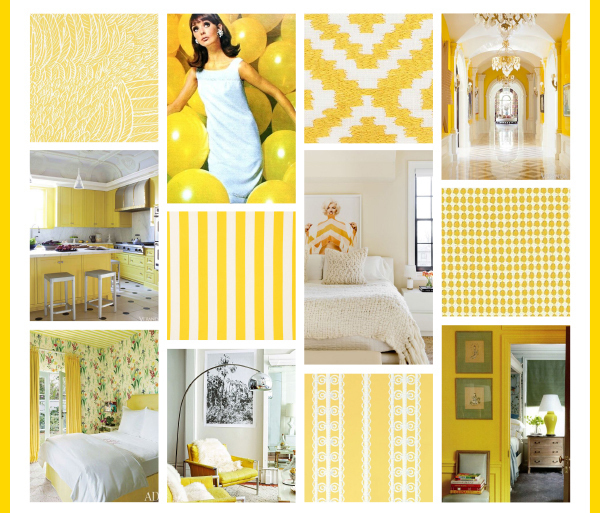 Yellow’s versatility spans every decorating style. 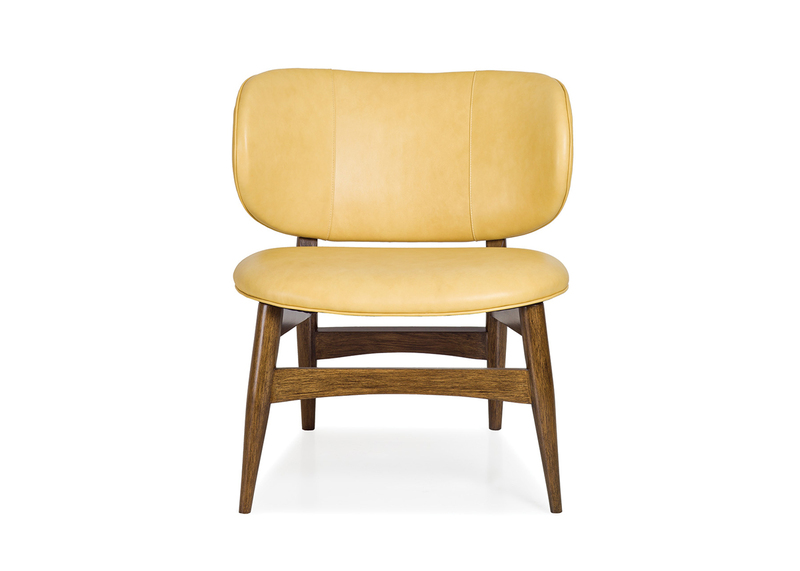 Hancock & Moore’s Clara Chair, shown in Kip Sunshine leather, has a cool midcentury vibe. 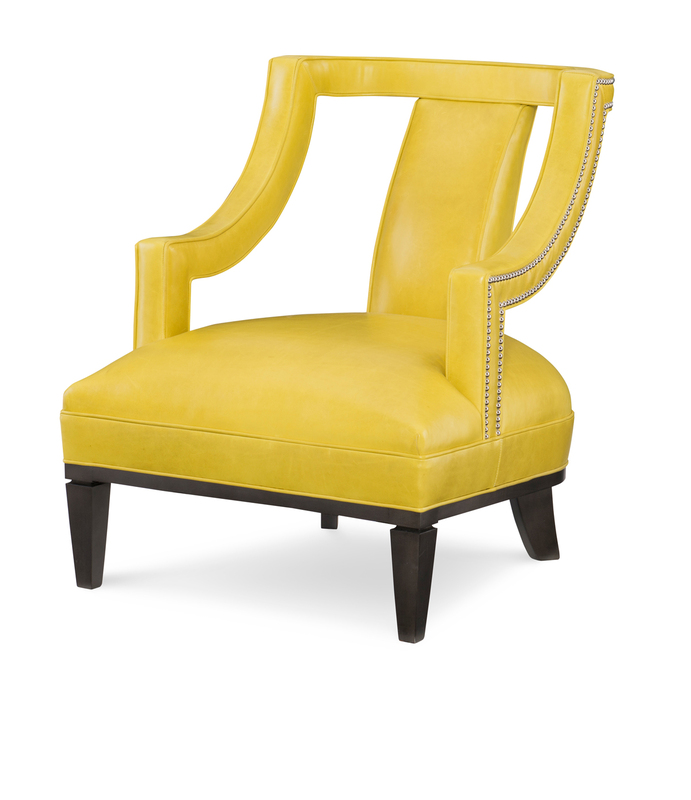 Upholstered in Mont Blanc Citrine, Wesley Hall calls this their “Charming Chair.” We say why not? After white, yellow is the strongest color that reflects light. This breakfast room shows its sunny side with a buttery shade of Hawthorne Yellow balanced by crisp Acadia White from Benjamin Moore. Graphic black and white pillows make a chic contrasting color statement. A little sunshine on a rainy day. 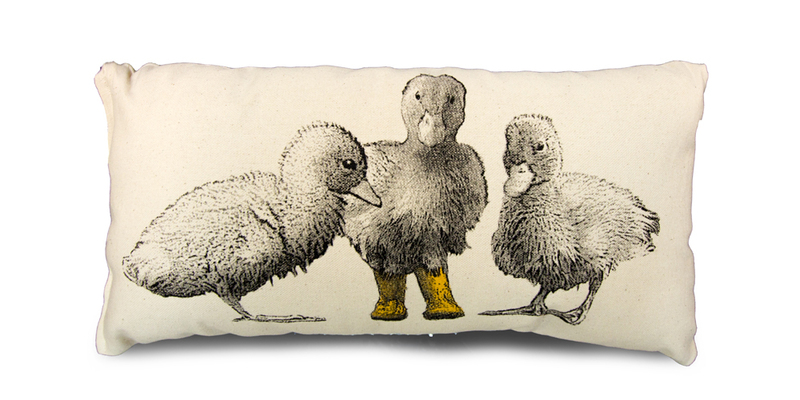 Pillow by Eric & Christopher.